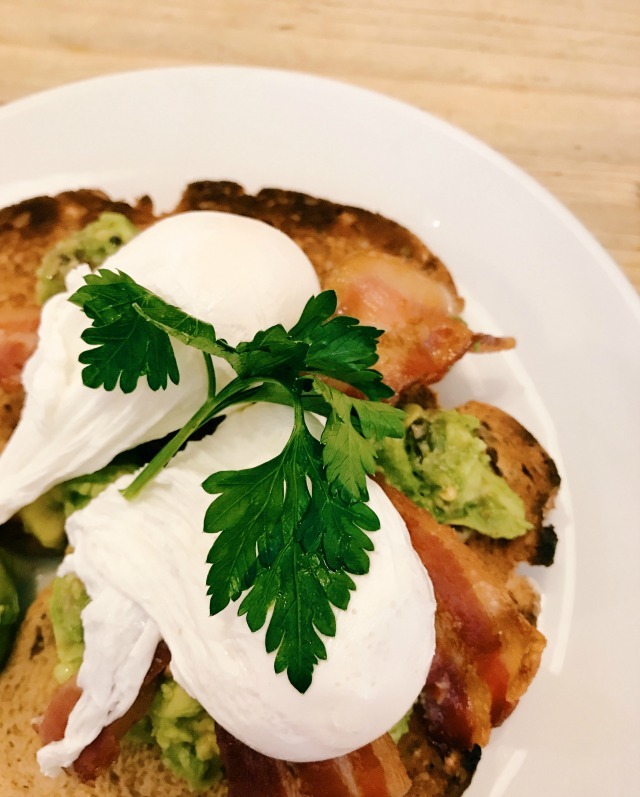 At the weekend there's nothing the kids and I like more than heading out for a spot of brunch, and Bill's is one of our favourite places to go. 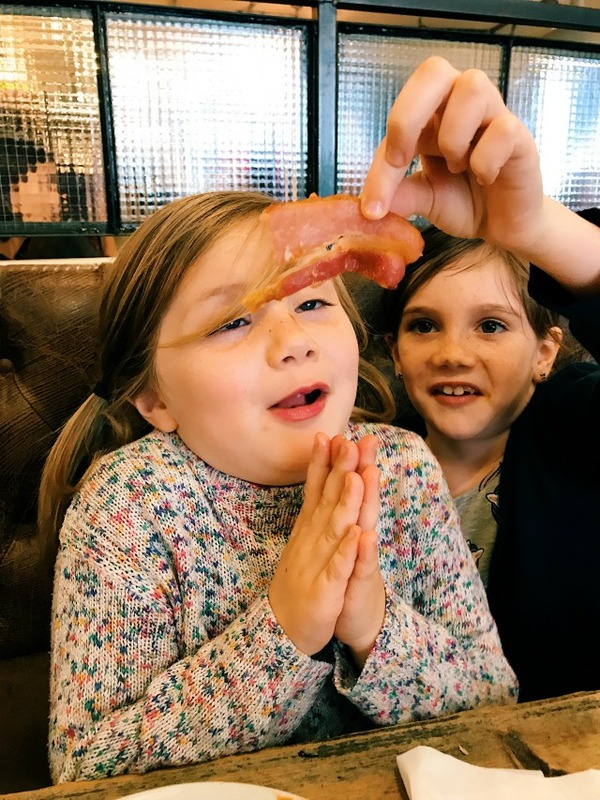 Last Saturday we were invited to our local restaurant in Guildford to try out their new children's menu, so after working up an appetite partaking in a wee bit of shopping, we made our way down the cobbled Angel Gate for a well deserved pit stop! 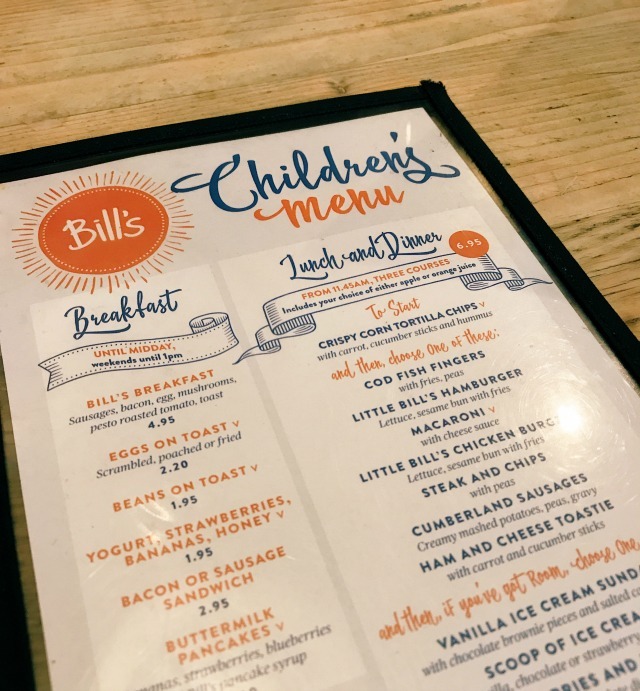 The main reason I'm such a big fan of Bill's is because I think of it as a proper "grown up" restaurant that just so happens to be incredibly kid friendly. There are some chain restaurants that I wouldn't dream of visiting without the children - but this most definitely isn't one of them. 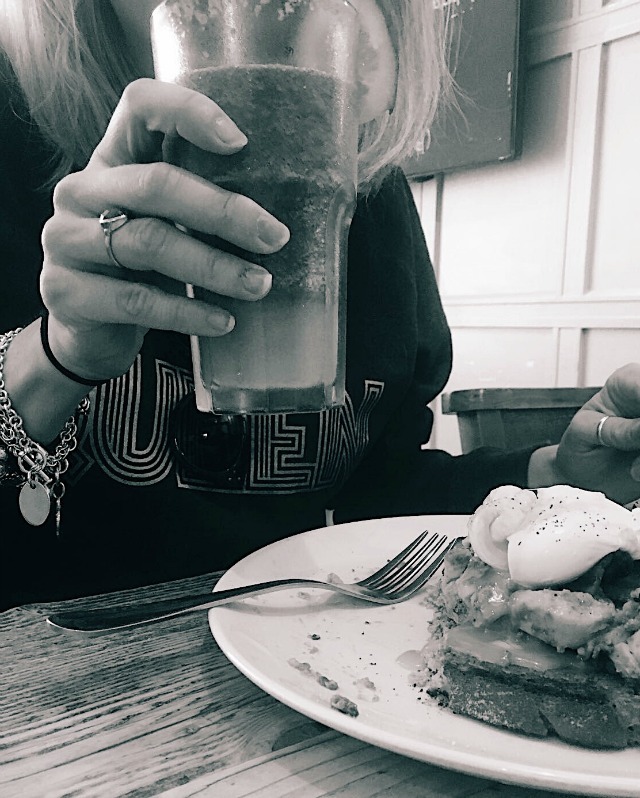 As well as taking the kids there, I regularly visit for leisurely Bloody Mary fuelled brunches with my girlfriends and I even celebrated one of my birthdays at Bill's a couple of years ago, so it really is a great place to visit at any time of the day or night, and with friends and family, both young and old. Another thing I love at Bill's is the decor; it's really quirky with lots of worn wood, old beaten up leather, warm brick work and industrial fittings. There are flashes of colour everywhere and an eclectic mix of art work and photographs on the walls as well as shelf after shelf of Bill's goodies for sale. But of course the best thing about Bill's is the menu. There's just the right amount of choice and the chefs have perfected every single item on it. The staff are always so bubbly and accommodating and I've never had a bad meal or a bad experience in any of my many visits. So over to our review meal! We kick started our brunch with fresh juices and coffee. 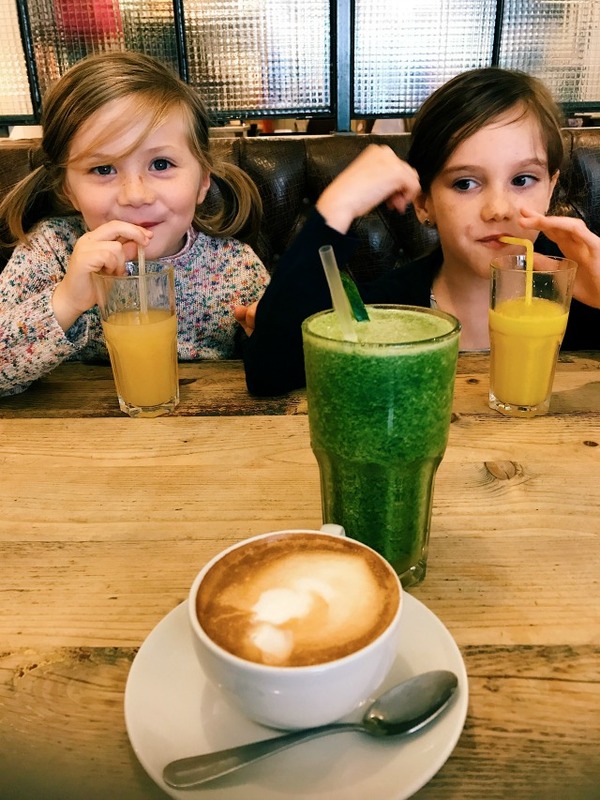 The kids had orange and apple juices, while I had a Super Greens smoothie and a flat white. Then we moved on to peruse the food menu! We had a good look at the lunch/dinner menu but we already knew before we got there that we'd be having brunch. We are creatures of habit I'm afraid, but I genuinely believe that if it ain't broke, why fix it. 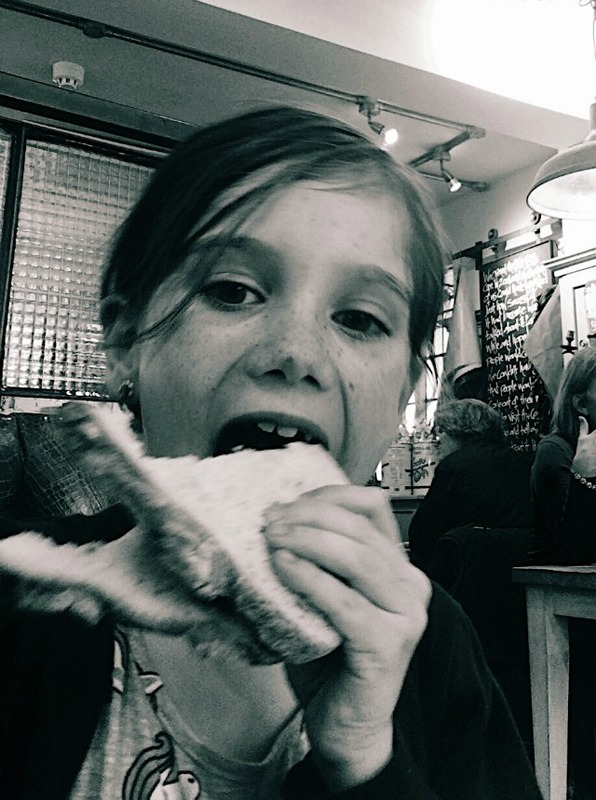 And on that note the girls went for their usual two course brunch (and being gluttonous is totally affordable when you're a kid at Bill's, with prices starting at just £1.95 for yoghurt and fruit, and moving up to £4.95 for a full English). On this occasion they started off with bacon and sausage sandwiches, while I went for the eggs and avocado on toast with a side of streaky bacon. 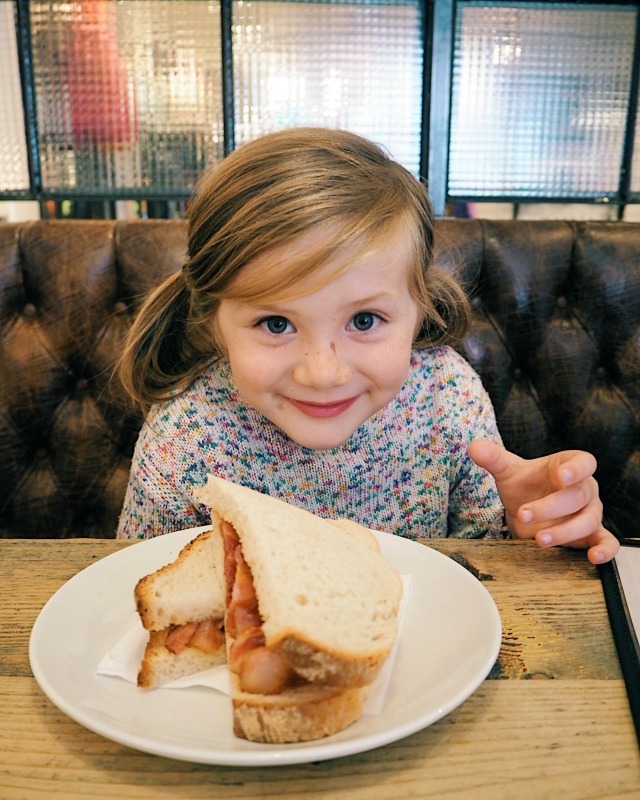 If you watched our IG stories on the day, you'll have heard Evie declare how much she loves the bacon at Bill's! Then it was time for round two! I was completely full up, so I just had another coffee but the girls went for pancakes, which is the reason why they love Bill's so much. I'm told they are the SECOND BEST PANCAKES IN THE WORLD (and second only to mine...... 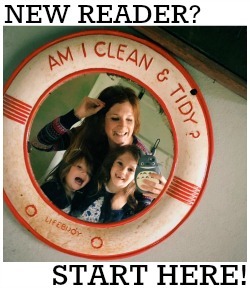 I've trained these kids well). 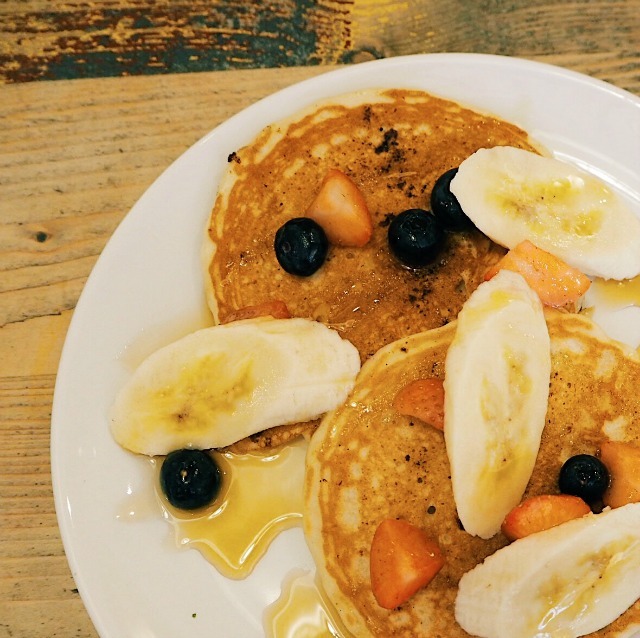 They come served with syrup and fruit and I think both girls would eat a third portion between them if I let them. As always, we had a wonderful meal. We were in and out pretty quickly, without feeling rushed, and with lovely full bellies - ready to take on the rest of the day! Bill's serves breakfast until midday (or 1pm at weekends) then switches to its lunch and dinner menus later on. 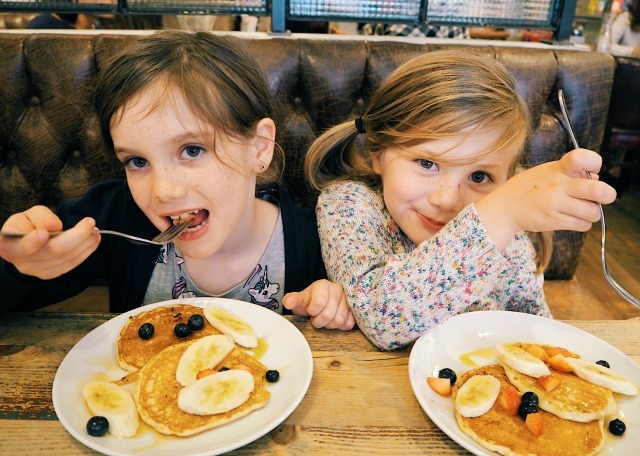 Kids' breakfast prices start at just £1.95, or they can dine on three courses - and have a drink - for just £6.95 after 11:45am, which officially makes it the most reasonably priced kids' menu out of every restaurant we've ever visited. It's definitely the tastiest too! Thank you so much to Bill's for having us - and special thanks to Roo, the manager at Guildford, for looking after us so well! We were given a complimentary meal in exchange for our honest views on Bills and their new kids menu. All words are true and all photographs are copyright.